What Adaptations Does a Bobcat Have? The willowy praying mantis, or mantid, can be beautiful as it folds its legs, tilts its head and looks at the world through huge eyes. 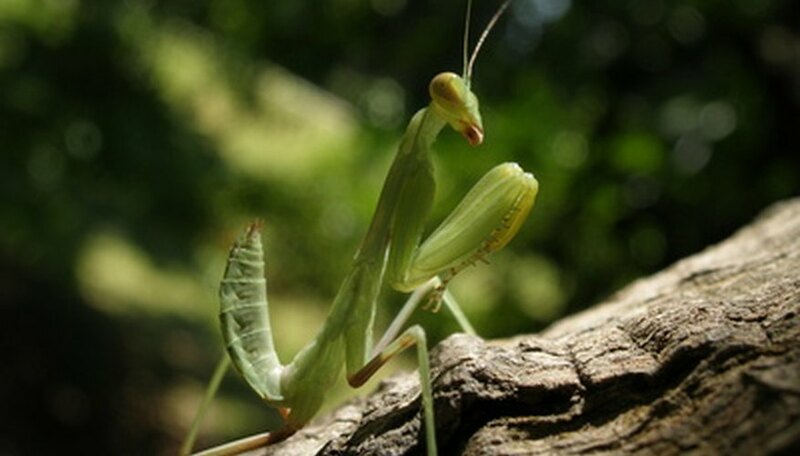 But the praying mantis is a predator--built to locate, hunt and subdue its prey before making short work of devouring it. With all the tools it has at its disposal, if the praying mantis were as large as a dog it would be a very dangerous creature indeed. The head of the praying mantis is an amazing construction. Praying mantises can rotate their triangular heads in almost a full circle – a feature not shared by other insects. Two antennae, or feelers, sit on top of the head and help the mantis search for food when it tilts its head or turns it from side to side. The praying mantis has five eyes total: three simple eyes that probably see only light and dark, lined along the middle of its forehead; and two compound eyes for seeing colors and images, comprising many panes aligned on either side of its head. With its ability to sense its prey, move its multidirectional head, use its excellent eyesight and move quickly and easily, the praying mantis is a very efficient and lethal predator. The praying mantis abdomen is rounded and elongated, making up the primary part of the insect's body. 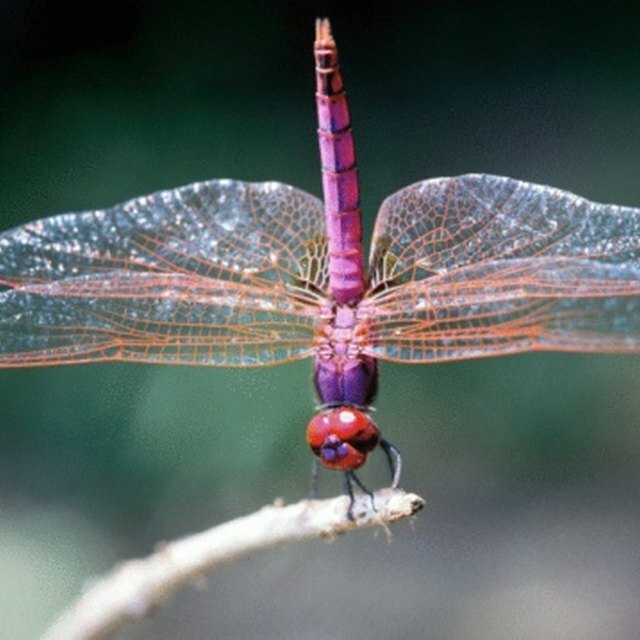 It is connected to the thorax and supports the wings and hind legs of the mantis. 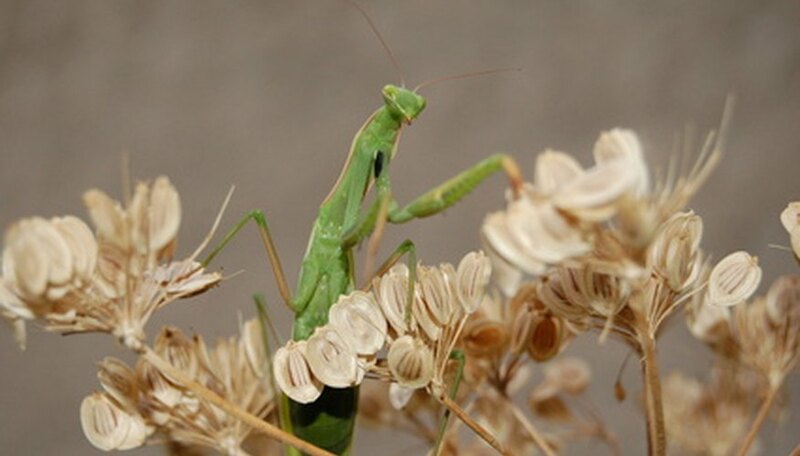 Like the rest of the insect, the praying mantis' abdomen is covered with an exoskeleton, a sort of hard-shell suit of armor that provides protection, support and form. 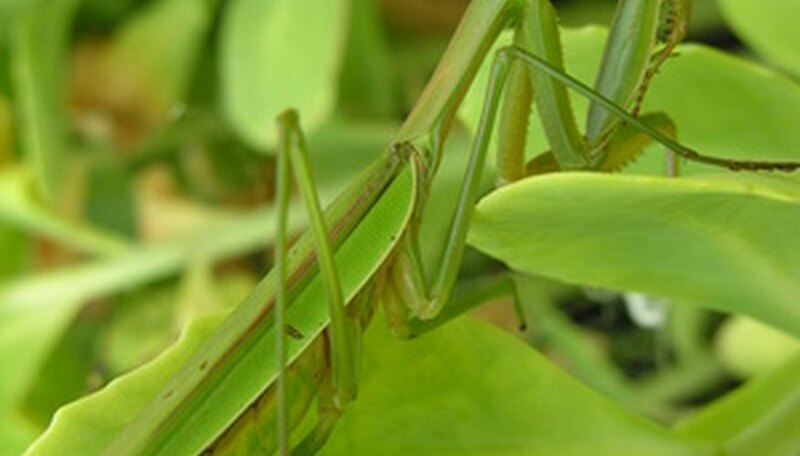 The thorax of the praying mantis is the "neck" of the insect, the connection between the head and the body. The thorax is much thinner than the abdomen area, but it is a powerful part of the mantis' body because the design of the thorax is what allows the mantis its swiveling head movements. Despite its five eyes, the praying mantis is thought to have only one ear, located in a slit in the thorax. This allows the insect to hear ultrasonic sounds. 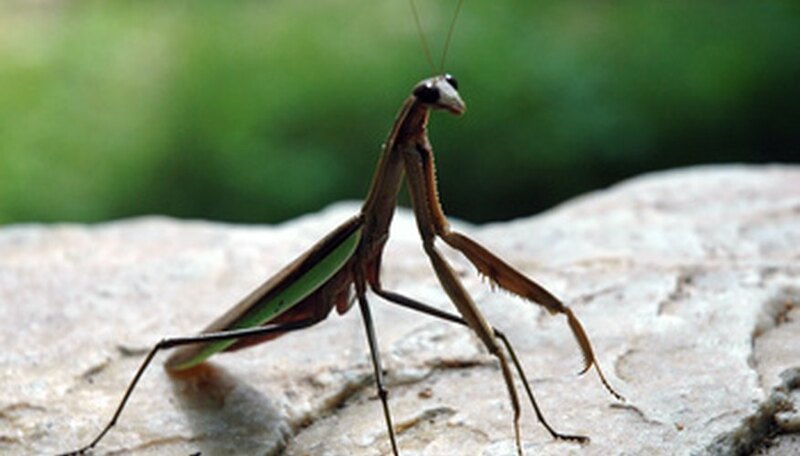 The praying mantis gets its name from its front legs. When it draws its legs up and folds them under its head, the position resembles a human's praying posture. In actuality, this is the mantis' hunting position. When the insect sights its prey in the proper position, it lashes out with its front legs and captures the prey, which it then secures with the long spikes that line its upper legs, allowing the mantis to eat at its leisure. It uses its back legs for walking, balance and propelling itself forward at a fast rate of speed. Nanette Kelley has been a professional Web writer/editor/publisher and designer since 1998, when she founded an award-winning international webzine, Human Beams, which ran for 10 years. She is now pursuing her Bachelor of Arts in English and writing a book. Kelley, Nanette. "Body Parts of a Praying Mantis." Sciencing, https://sciencing.com/body-parts-praying-mantis-6855508.html. 13 November 2018.